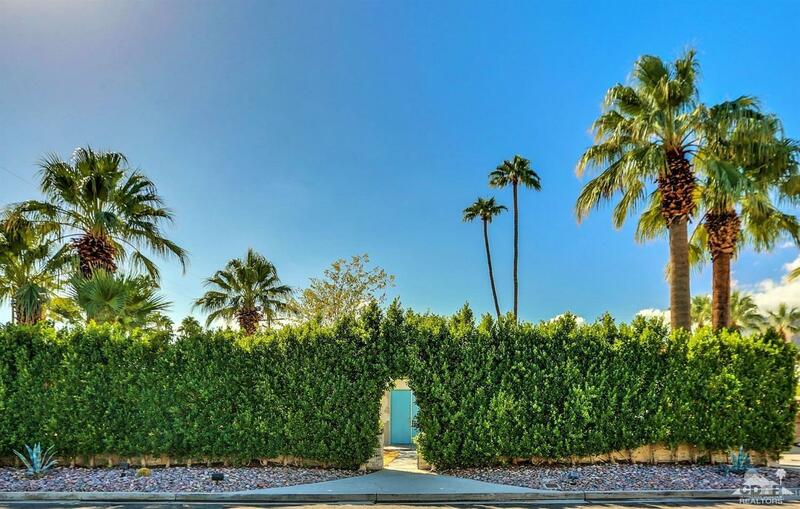 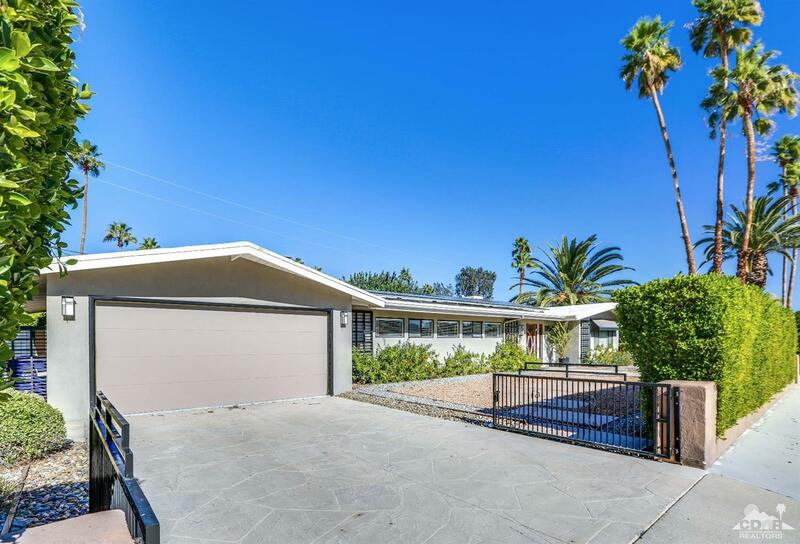 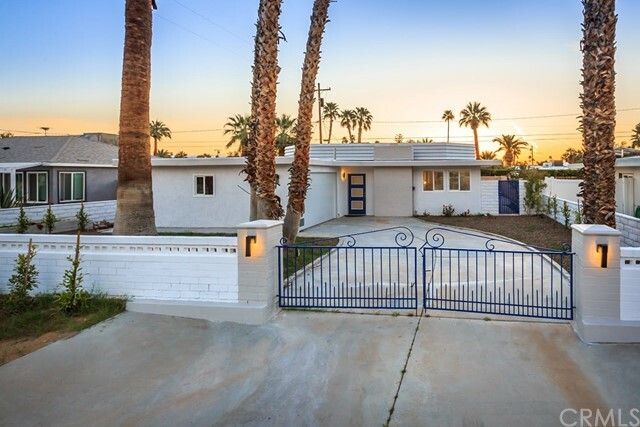 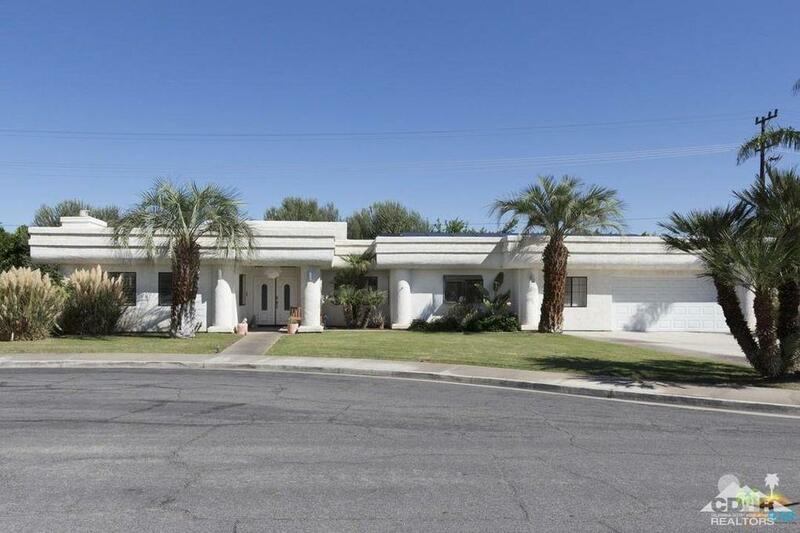 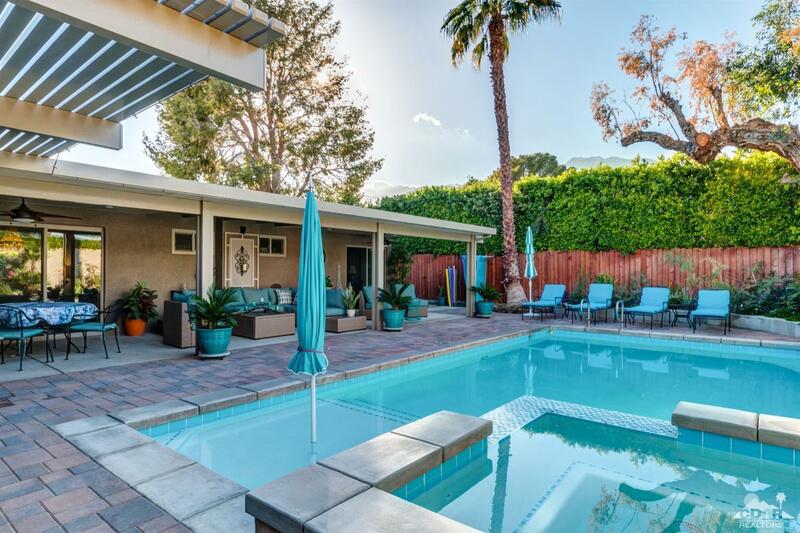 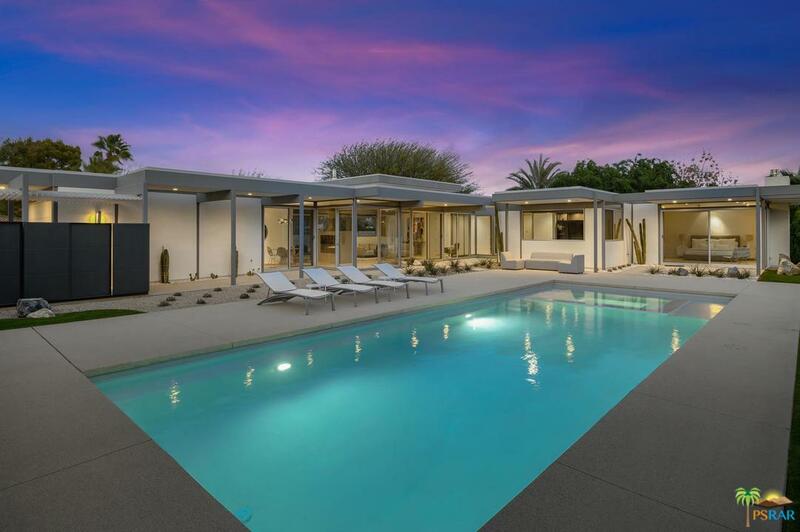 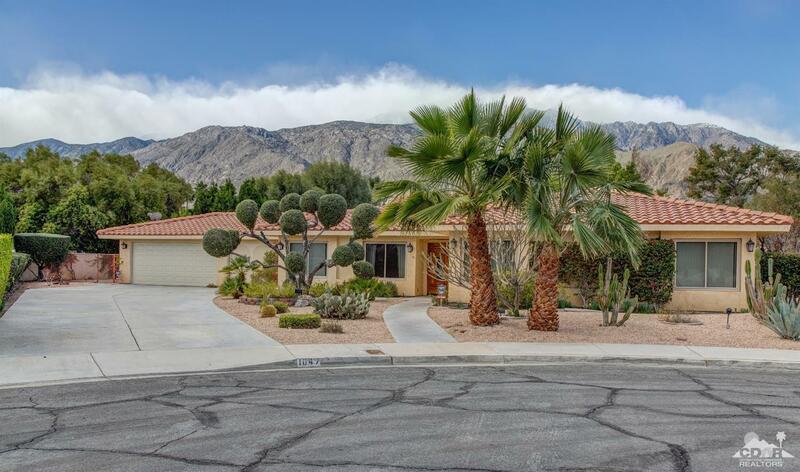 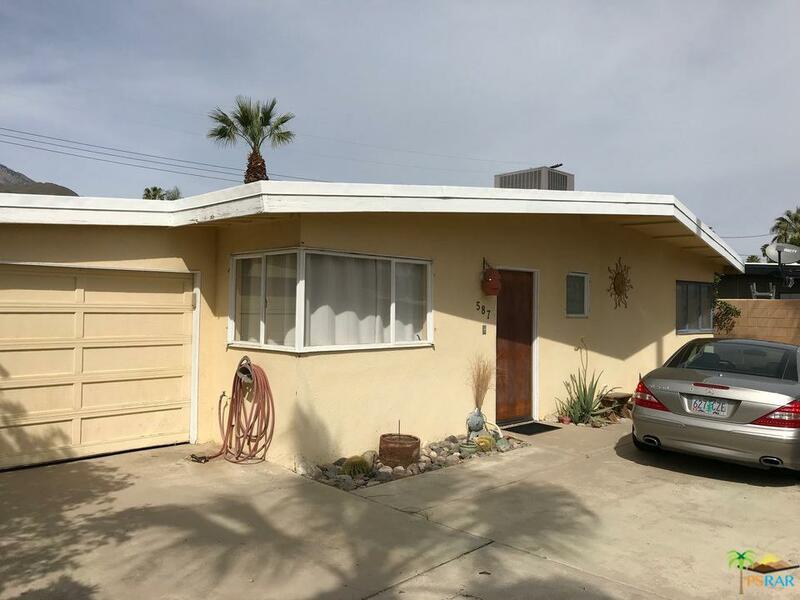 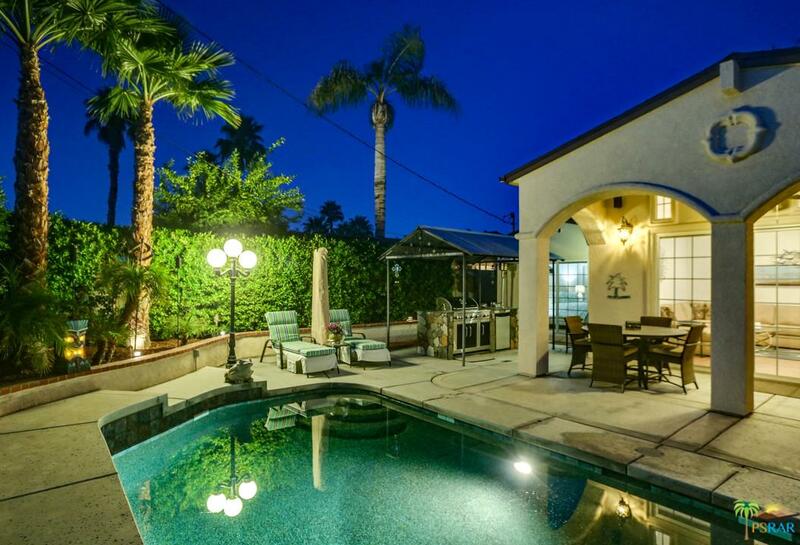 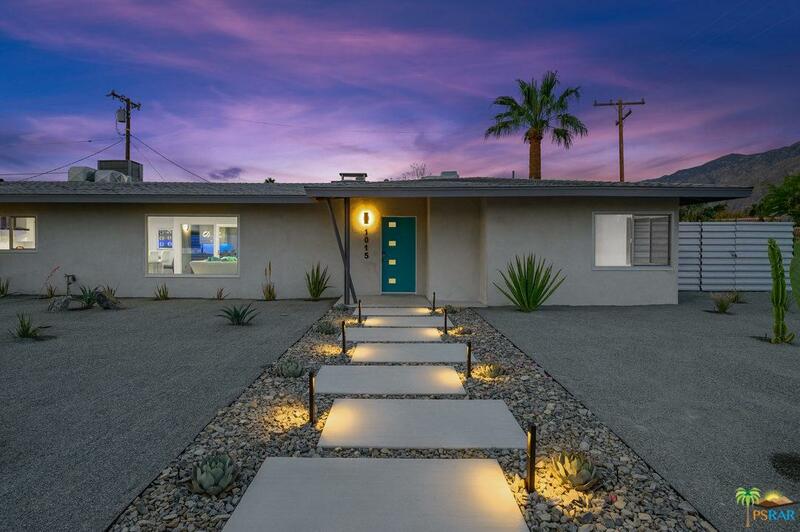 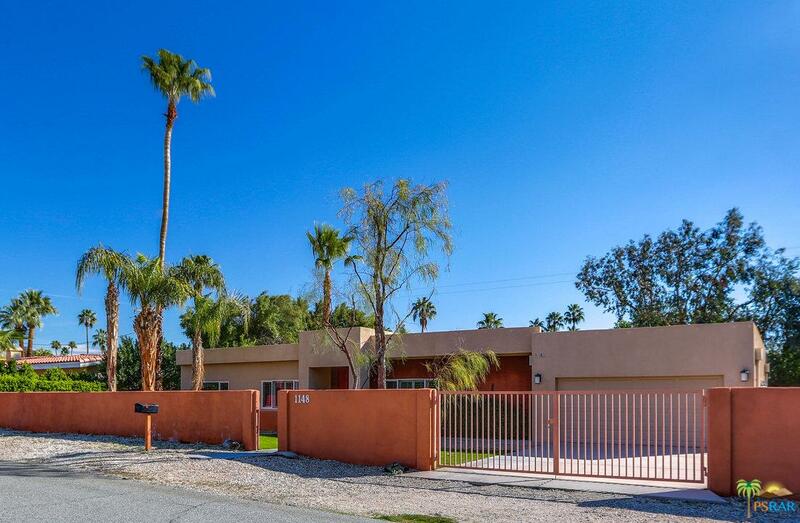 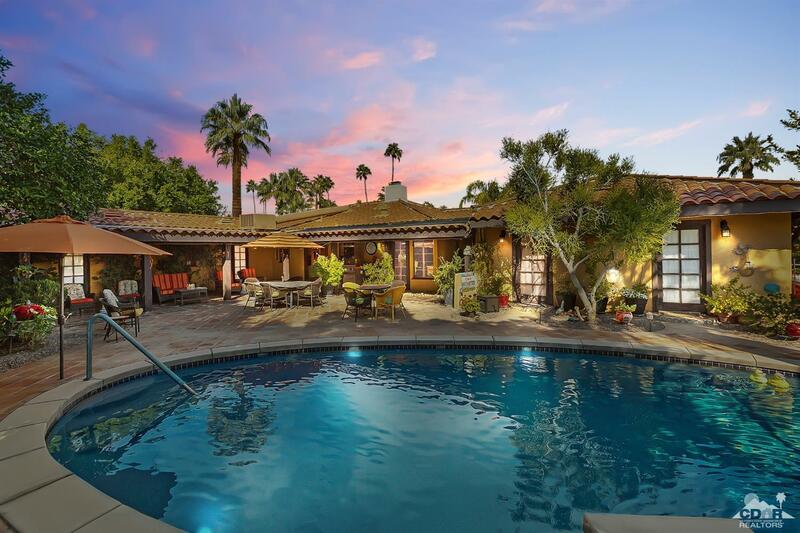 Vacation the winter blues away at your poolside in this Mid-Century Palm Springs home, located in beautiful Movie Colony East! 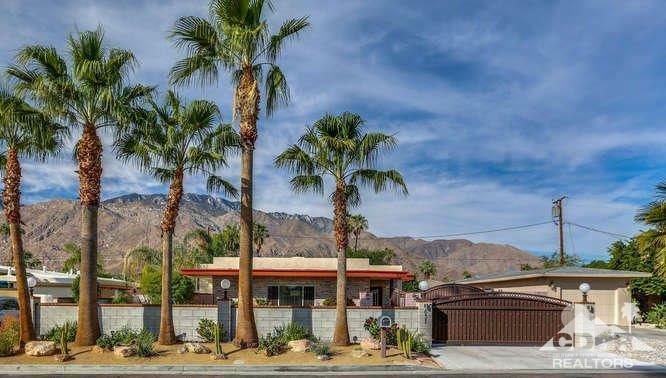 It has been tastefully updated, bringing systems and creature comforts into this century, and is truly a stunner; from the fenced entry way w/ low-maintenance desert landscaping, to the water feature out front, sleek porcelain tile flooring throughout, beautiful quartz countertops w/ a dramatic textured backsplash in the kitchen, to the tiled fireplace you'll love the attention to details! 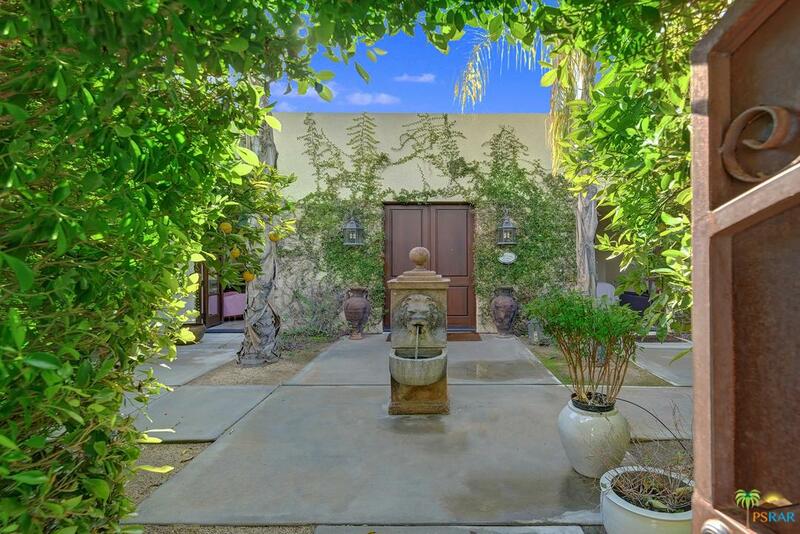 Enjoy direct access to the backyard from the master suite, with a spa-like bathroom, dual sinks and a walk-in shower. 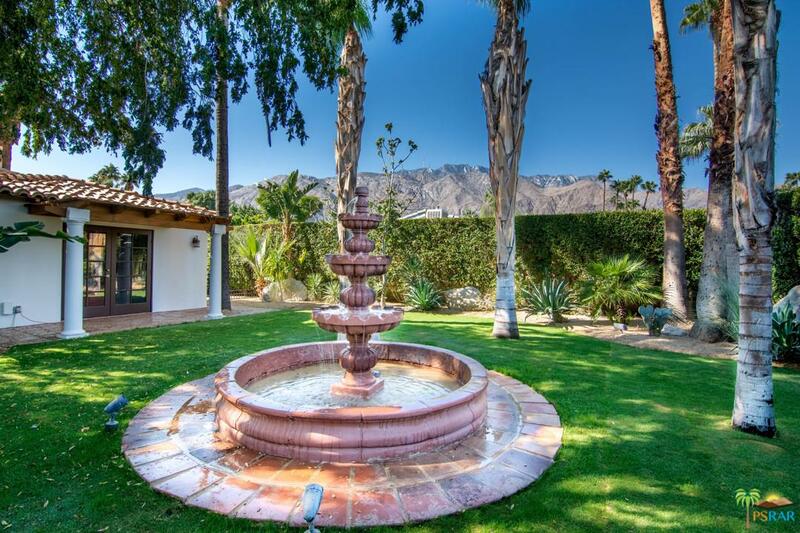 Guest suite w/ a private bathroom and direct access from the side yard! 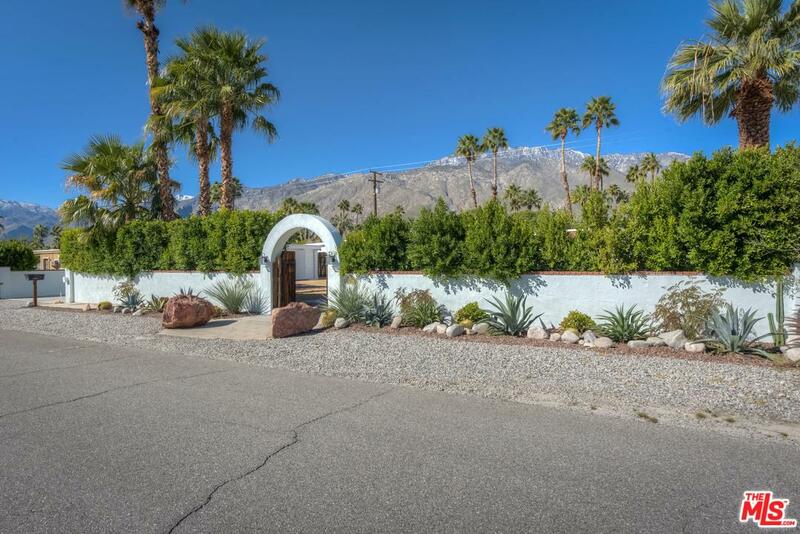 Relax in your private oasis out back and enjoy the gorgeous mountain views, featuring a pool- complete w/ a tanning shelf, raised infinity-edge spa, outdoor shower and fire pit. 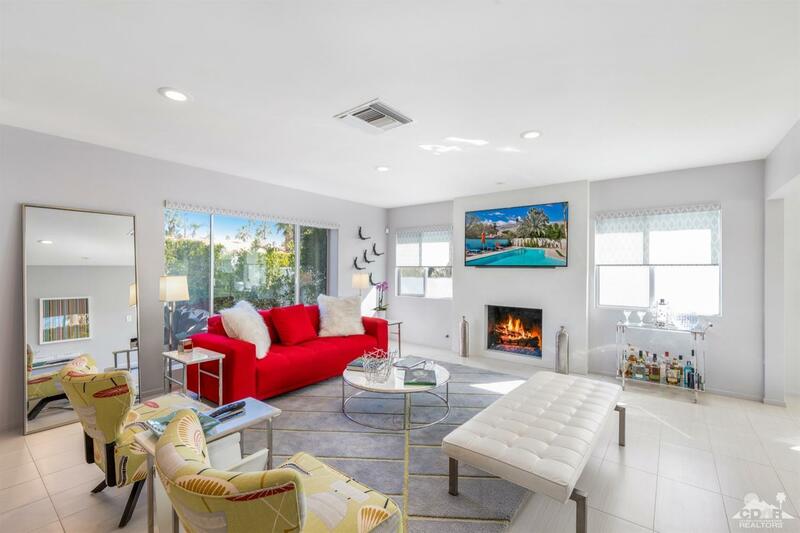 Walk or bike to Ruth Hardy park and Uptown design district for coffee or dinner.